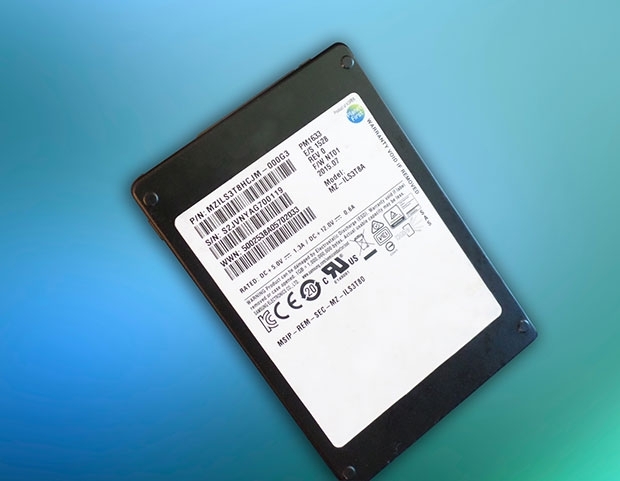 Samsung has launched a trio of TCO-optimized solid state drives based on the company’s three-dimensional (3D) Vertical NAND (V-NAND) flash technology. As an update to the SM951, the PM953 will be available in both M.2 and 2.5-inch form factors. The former is offered in your choice of 480GB or 960GB capacities while the 2.5-incher can be had with 480GB, 960GB or 1.92TB of storage. The PM1633, meanwhile, is Samsung’s latest SAS SSD. It’s a 2.5-inch 12GB/sec drive that’s offered in capacities of 480GB, 960GB, 1.92TB and 3.84TB. Samsung says the drive is capable of delivering random read and write speeds of up to 160,000 and 18,000 IOPS respectively and boasts sequential read and write speeds of up to 1,100MB/s and 1,000MB/s. 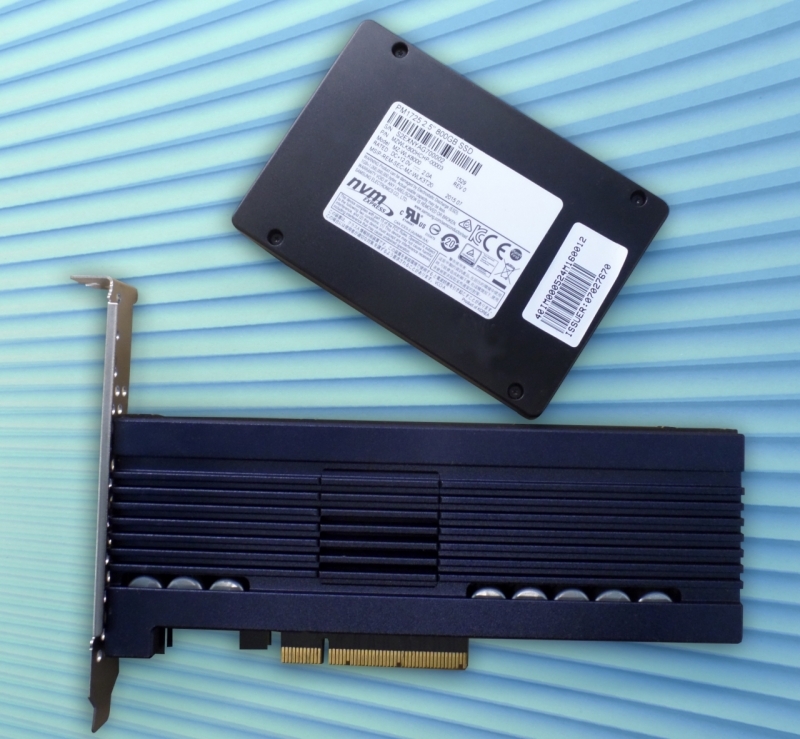 Last but certainly not least is the PM1725, a half-height, half-length (HHHL) card-type NVMe drive that’s available with 3.2TB or a colossal 6.4TB of storage. The drive provides random read speeds of up to 1,000,000 IOPS and writes randomly at up to 120,000 IOPS. It also sequentially reads at up to 5,500 MB/sec and writes sequentially at up to 1,800MB/s. If you know a thing or two about drive speeds, you can appreciate just how fast the PM1725 is. Drives are available for purchase as of writing although they’re primarily being marketed to OEMs / enterprise users. I want to see some benchmark tests. @Steve Pleeeease get your hands on some of these, if only one make it the PM953 in the M.2 form factor. DaveBG, madboyv1 and deemon like this. What about dimensions? Does this 3D thing make the M.2 modules somewhat thicker? Do they still fit into the M.2 slots that are "under" motherboard? Whaaaaa??? What are they up to? "this 3D thing" is measured in microns... so no. Why are they releasing all this candy? ...that will be some intense competition indeed - and really soon! Another thing could be because Samsung is realizing just how horrible sales will be on their upcoming phones and need to compensate? At the Flash Memory Summit, as reported by Golem.de, Samsung showed off a server with 48 of these new SSDs, with a total storage capacity of 768 terabytes and performance rated at 2,000,000 IOPS (input/output operations per second). At about $5000 each, 48 would run $240,000.... but that's one hell of a lot of FAST storage! Anyone got a quarter million in their budget JUST for hard drives?